These days, nothing is safe from the threat of me spray painting it. 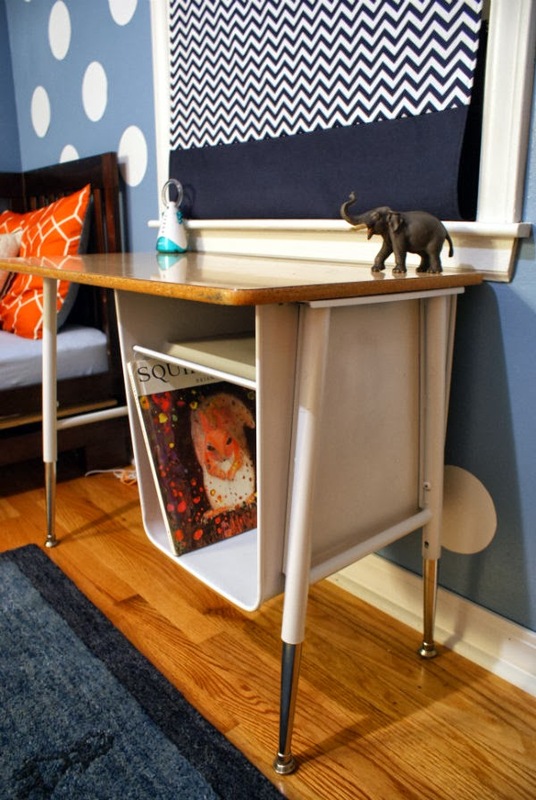 Let's count up this summer's victims projects; two tension rod lamps, two picture frames, two kitchen bar stools a five piece patio set and now this desk. Yikes! Jesse and I keep joking that hopefully the weather will cool off soon and "Spray Paint Season" will be over. 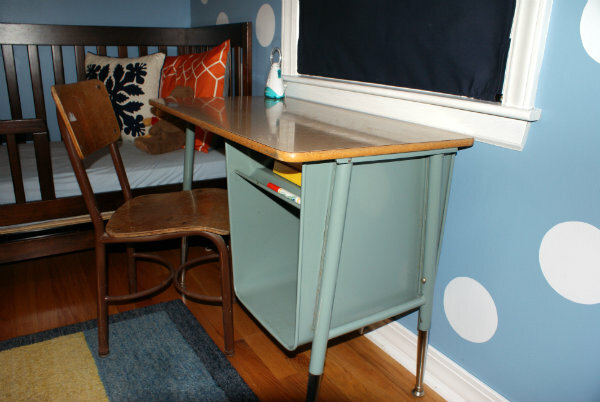 My latest revamp is this nifty kids desk that my mom found at a rural flea market. She is THE BEST Vintage Scout EVER! Yesterday, Jesse removed the desk top and I painted over the institutional blue with a semi-gloss white. The transformation is nothing ground breaking, but I think it looks more crisp.